Located in Nortown, a lively neighbourhood in Toronto, this property is right along a popular shopping strip. Heavy pedestrian traffic in the area is due to the 142 Downtown and 61 Avenue North TTC bus routes and major businesses, including Tim Hortons, LCBO and No Frills, nearby. There is also quick access to Highway 401 and Allen Road. 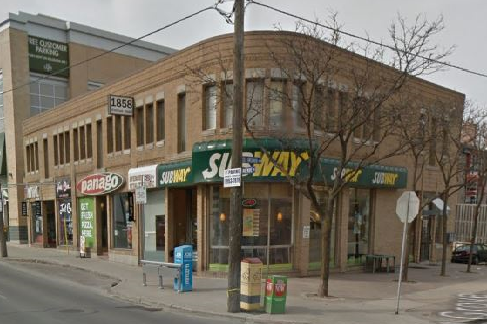 The York-Mills and Lawrence Subway Stations are just 2 km away. This two-storey, mixed-use building features storefronts on the main level and office space filling the second floor. There is a parking lot behind the building with access off Old Orchard Grove, and Green P parking is available on Avenue Road. New or established businesses can thrive in this area filled with retailers and services.